Add this high quality Safavieh Courtyard area rug to your home for an instant splash of style. Designed as an indoor/outdoor piece, its plush synthetic material will make you feel cozy and comfortable. Make a lasting style statement with this machine-made rug. Quality and style come first with this geometric patterned beige tan rug. Free-spirited and vibrantly colored, Monaco Collection rugs bring Bohemian-chic flair to folkloric and formal Persian designs. A mix of high and low loop pile is power-loomed of long-wearing polypropylene in classic textures and trendy erased-weave looks. This is a great addition to your home whether in the country side or busy city. Courtyard Alex Brown 4 ft. x 4 ft. Indoor/Outdoor Square Area Rug Add this high quality Safavieh Courtyard area rug to your home for an instant splash of style. Designed as an indoor/outdoor piece, its plush synthetic material will make you feel cozy and comfortable. Make a lasting style statement with this machine-made rug. 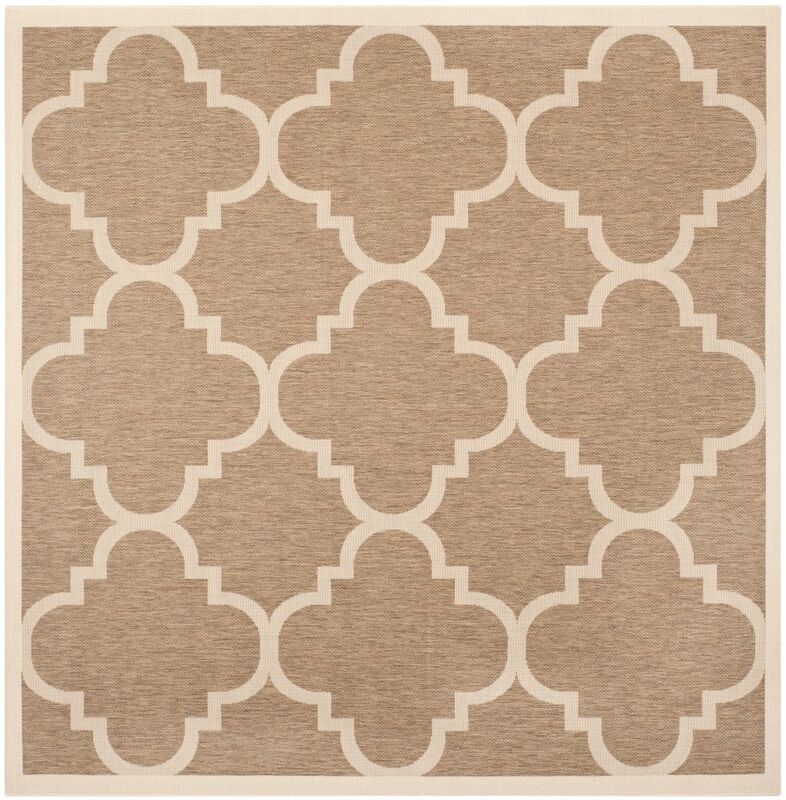 Quality and style come first with this geometric patterned beige tan rug.